Discover spring wildflowers in bloom at Bikes to Blooms on Saturday, May 11th from 8 a.m to 3 p.m. at Bake Stewart Park! With a local expert as your guide, you’re invited to explore a rare, remnant prairie and oak habitat along Dorena Lake. 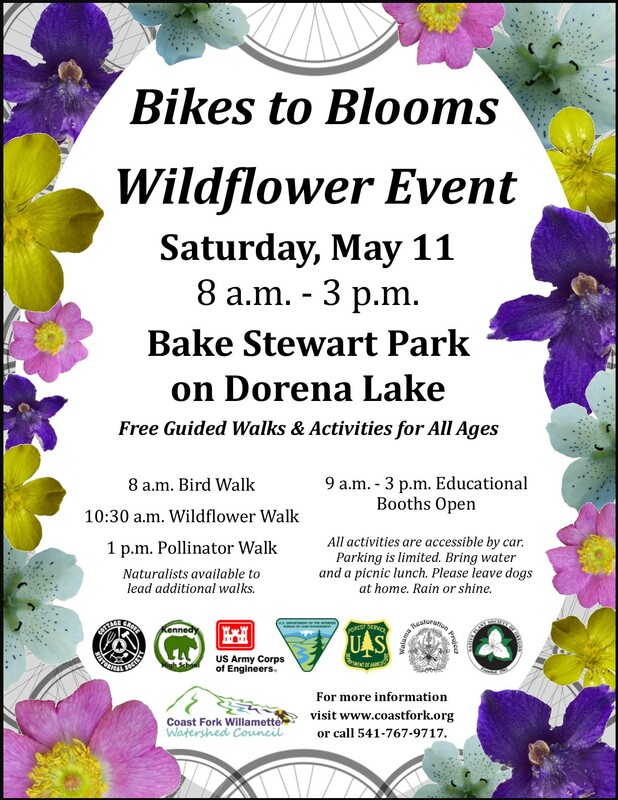 Bikes to Blooms is a free, educational event featuring activities for families and nature enthusiasts, including a morning bird walk, stewardship opportunities, educational booths hosted by local organizations and guided wildflower walks. Travel southeast of Cottage Grove and experience this ecologically valuable and scenic landscape and to see the southern Willamette Valley in bloom. Event schedule and details: 8 a.m. Bird Walk, 10:30 a.m. Wildflower Walk, 1 p.m. Pollinator Walk. 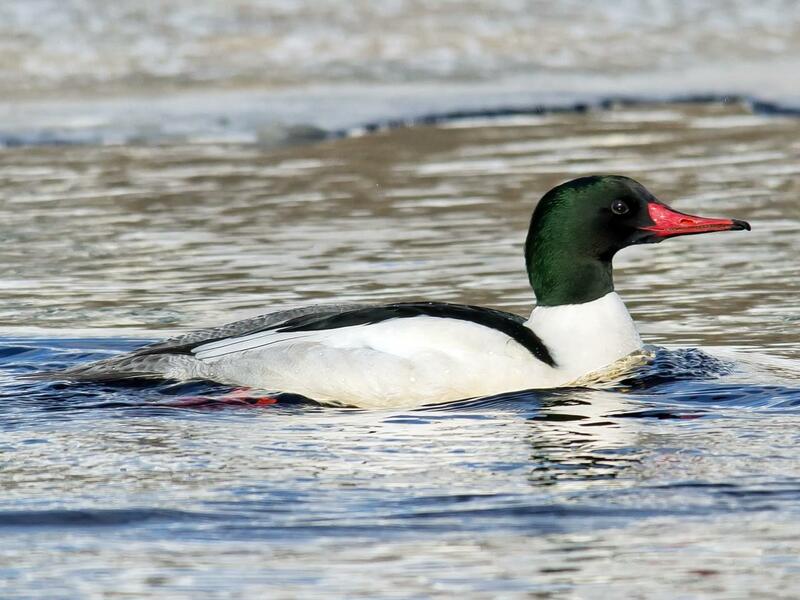 Booths will be open from 9 a.m. – 3 p.m. with naturalists available to lead additional walks. All activities are accessible by car and carpooling is encouraged as parking is limited. Participants should bring a picnic lunch, water, weather-appropriate clothing and weed-free shoes. If cycling, wear a helmet and be cautious of variable trail conditions. Please leave dogs at home. Bikes to Blooms is hosted in partnership with the Coast Fork Willamette Watershed Council (CFWWC), U.S. Army Corps of Engineers, Bureau of Land Management, U.S. Forest Service Cottage Grove Ranger District, Native Plant Society of Oregon, Walama Restoration Project, Kennedy High School and Cottage Grove Historical Society. 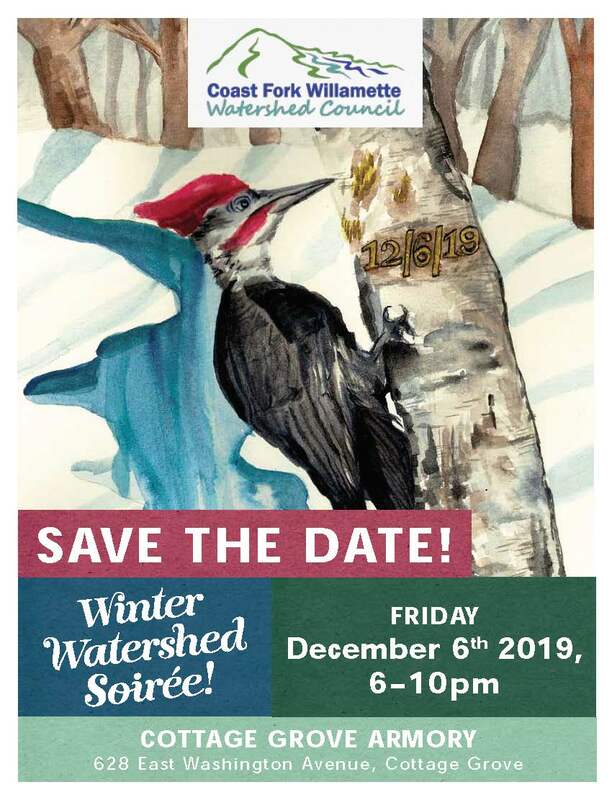 For additional event information call the CFWWC office at 541-767-9717.